At only a short 5 minute drive from Oatley, Sports Medicine Clinic is the ideal location to visit for any physical or sport injury concerns. Our clinic places an emphasis on treating our patients with osteopathy and chiropractic, safe and effective manual medicine. Sports Medicine Clinic aims to treat more than just the injury itself, osteopathy instead focuses on the cause of the injury and the after effects it can have on the body. As a result, a well-rounded diagnosis and full treatment procedure is developed. Our approach aims for full, long-term recovery and future prevention of similar injuries. Although we do aim to reduce the pain associated with injuries, our ultimate goal with our patients is full treatment and rehabilitation. Osteopathy views the cause of the injury and how the body is affected by the injury. When this approach isn’t applied, repeat injuries could continue occurring. Osteopathy is a treatment option that is safe and effective for the entire family. For one of the best osteopath clinics in Oatley visit Sports Medicine Clinic. Another treatment option that is offered at Sports Medicine Clinic is chiropractic, a health profession concerned with the diagnosis, treatment and prevention of musculoskeletal system disorders, their effects and general health. Chiropractic believes in the body’s ability to self-heal, therefore the treatment provided allows the body to naturally do this. It is best to visit a chiropractor for injuries of the musculoskeletal system, as they are they only practitioners that are trained in locating and correcting vertebral subluxations. Although certain symptoms may not manifest as being relating to skeletal issues, it is important to remember that slight changes in areas such as the spine can result in changes in the surrounding nervous tissue. 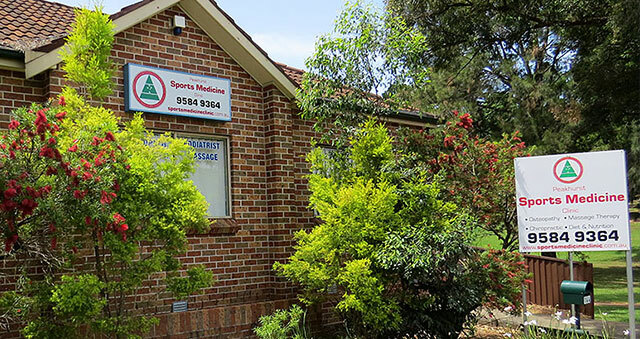 For chiropractic in Oatley, visit Sports Medicine Clinic, which is a short 5 minute drive away.